The pitching matchup in Indianapolis tonight is a somewhat interesting one. 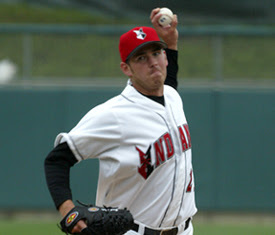 Zach Duke goes for the Indians, making a rehab start. He will face former Pirate Victor Santos, who will be throwing for the Louisville Bats. At least, I think this is an interesting pitching matchup.